Epping Forest was given to the public in 1878. It has many historical and literary associations involving, for example, Harold II, Henry VIII, Elizabeth I, Shakespeare, Tennyson, Clare and Churchill. Nicholas Hagger came to Epping Forest during the war. As a boy he knew Sir William Addison, long recognised as an authority on the Forest, and saw Churchill speak in his village in 1945. He grew up against the background of the Forest and visited it regularly when he was living elsewhere. He returned and became the proprietor of three private schools in the area, founding his own school in 1989. The Forest has come into many of his poems and other works. In Part One of this book he conveys the history of Epping Forest in the times of the Celts and Romans, Anglo-Saxons and Normans, Medievals and Tudors, and enclosers and loppers. In Part Two he shows how history has shaped the Forest places he grew up with: Loughton, Chigwell, Woodford, Buckhurst Hill, Waltham Abbey, High Beach, Upshire, Epping, the Theydons and Chingford Plain. An Appendix contains some of his poems about these places. His blending of history, recollection and poetic reflection presents a rounded view of the Forest. Using a technique of objective narrative he developed in other works and drawing on personal experience to give the flavour of a personal memoir, he evokes the spirit of the Forest through its best-loved places and wildlife, and brings the Forest alive through his historical perspective, evocation of Nature and vivid writing. Nicholas Hagger’s Collected Poems, Classical Odes and his two poetic epics, Overlord and Armageddon, are also published by O Books. See an article in the East London and West Essex Guardian, ‘Travelled author’s musings on home’, 10.5.2012. 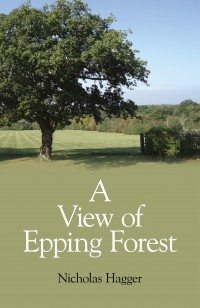 See an interview with Nicholas Hagger in This is Local London online, ‘Epping Forest: Author draws on forest inspiration for new book’, 8.5.2012. Nicholas Hagger’s books reveal truths that have been hidden, and are rewarding. He is a cultural historian who presents a new approach to the history of Epping Forest that includes eyewitness history.